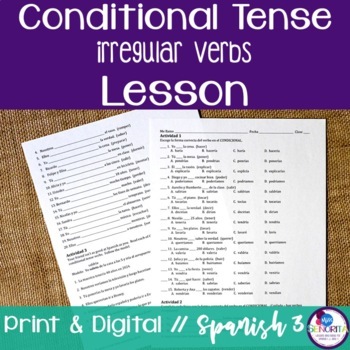 This zip file includes everything you need to teach a lesson on irregular verbs in the conditional tense. 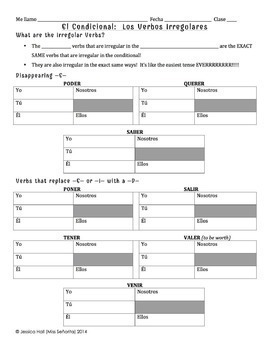 The powerpoint teaches the conjugations of the 10 irregular verbs in the conditional tense, and allows students to practice conjugating verbs in the conditional tense. The notes page has blanks in it for students to follow along with the powerpoint.